It was then that the weight of depression lifted from my shoulders. I found my self-confidence and strength-of-will once more knowing I have the capacity within me to take on whatever may come my way. Hugh told me after I had come out of my depression that he never thought I was depressed. “What was I then?” I asked Hugh. I’d been struggling against something for the past ten years – this monkey on my back or whatever it was. I had searched for a decade trying to find what I could never have found. I was increasingly frustrated by my fruitless trek and my body’s failings that thwarted my efforts to make a life for myself. I became more dispirited and disheartened as time went by. All this I saw as depression and the resulting insecurity as anxiety. I am now Brian in my own right. I live life as my own person. I am able to meet whatever life has in store. As the veil of my depression started to lift I found the inspiration to follow my dream to do Voice Over (VO). I had wanted to give voice to animated characters since I was a teenager for two reasons. First, it would be a really cool thing to do. Second, because of my facial paralysis I couldn’t make facial expressions such as frown, raise my eyebrows or give a big, wide smile – but the characters I gave voice to could. In April of 2010 I joined Voices.com, a Voice Over marketplace, and started receiving their emails, newsletters and job notices. That September I went to the Voices of Vision event in Toronto where I got a good feeling for the VO industry that I couldn’t find in Thunder Bay. At Voices of Vision I met Pat who gave the first workshop. He emailed me two weeks later inviting me down to a Voice Over event in October at his studio in West Hollywood. “Awesome, I can’t pass this up.” I did something that was totally out of character for me. I jumped on a plane for LA with no idea how I was going to pay for it. I was nervous. At Pat’s VO event I got two turns to stand in a recording booth in front of a microphone and read a script. I know I can trust Pat’s word when he said I was fine. When I came back to Thunder Bay from Pat’s VO event I felt I needed to strengthen my vocal skills. I saw Mona, a speech pathologist, monthly for a year and a half. She had done some VO herself so she knew what I wanted to do with my voice. Mona was very creative and helpful. We improved my voice as best we could given my impediments. I gained more confidence in speaking. Then I took voice lessons over Skype for a year from a woman named Sunday, a voice coach in Toronto. With her guidance I focused on how I can best employ my vocal skills. When I decided to do VO I joined Toastmasters. I wanted to improve my public speaking and interpretive reading skills. I belong to two Toastmasters clubs in Thunder Bay, compete in speech competitions and have earned my Advanced Communicator – Bronze and Competent Leader standings. Toastmasters taught me a lot about the craft of speaking. My confidence in public speaking and reading aloud has grown tremendously. Best of all I enjoy it. Like Mom and Dad I was an active member of Corpus Christi. When I moved into my condo I involved myself in all the church functions at St. Agnes to forge an identity of my own. After four years I became discontented with the church services and the whole church scene. I couldn’t put my finger on why but it all started to feel hollow. I could experience the building and the people but no spiritual connection. I realized I was trying to live my mother’s relationship with Catholicism. I had to find my own spirituality. I stopped going to church and I didn’t miss it. I lived in spiritual limbo. No longer did I have a spiritual basis in church and I didn’t know where else to look. Counselling for my depression revealed the wholeness within me. My ascent from the depths of depression began when I discovered that the light of my spirit and strength shines outward from my heart and soul. Since then my spirituality grew beyond any one set of beliefs. No longer could I adhere to the teachings and edicts of some external church telling me what my beliefs were. I found spirituality to be much more. Now my spirituality comes from a variety of sources and always shines out from within me. I will never knock organized religion. It is a source of spirit and strength for many people as it once was for me. I met my health challenges of facial paralysis, speech impediment, poor balance, hearing loss, obesity and depression. I surrounded myself with people who could help me with my disabilities and forge ahead with life. When I saw how technology could help me I embraced it. I now know the joy of expanding my creative mind: Interior Design, Architectural Technology, Copywriting, Artist, Writer, Voice Actor, Toastmaster and … There are many more things I want to learn and do. These are my dreams. Anyone who looks with an open mind at all the things out there to do will find the opportunities are endless. I’ve gained confidence travelling by myself to reintroduce “Brian” to my family and preserve the family history. Moving in with Catharine and her children enhanced my family life tremendously. I have found fulfillment in writing and speaking. My new spirituality has given me a sense of inner peace and joy. Despite all I that have been through I am living my dreams. Dad aptly chose The Old Man and the Sea to read to me in the ICU after my neurosurgery at Sick Kids in 1972. He chose the story of a man who kept his courage in the face of defeat who won a personal triumph from loss that, for me, proved to be prophetic. It would be the story of my life. In my world there are no final frontiers. There are only new frontiers to be discovered and explored. My life is my continuing mission. What else is in store for me? What new adventure awaits? Whatever it is I will face it with a smile! This entry was posted in Memoir and tagged adventure, anxiety, continuing mission, craft, depression, disabilities, facial paralysis, final frontier, hearing loss, ICU, memoir, microphone, obesity, script, smile, speaking, speech pathologist, spirit, spirituality, strength, technology, The Old Man and the Sea, Thunder Bay, Toastmasters, Toronto, VO, voice actor, voice over. Even though I had dealt with the changes in my body and the deaths of my parents I was unable to handle life very well. The emptiness was still there. When I started to manage the geochemical lab the stress made it harder to keep my head clear. I felt like all the nerve endings under my skin were jumping to the surface. I saw my doctor who put me on 40 mg of Paxil antidepressant medication. It took the edge off my anxiety. I took Paxil for four years until my final year in the Architectural Technology program. During that year a feeling within me grew that said the Paxil was no longer doing anything for me. I weaned myself off Paxil over two months and found my nerves were no different. I was right. Paxil was no longer helping me cope. “Why am I taking this stuff?” I asked myself. I was handling life well enough even though Paxil wasn’t helping me so I stayed off it. Also during my final year at college I found I couldn’t afford my condo anymore. Catharine had been separated for two years. So she and I started a partnership. We searched for a house that she, Sarah, Matthew, Tessa and I could live in. We found one and we had a home. I invested money from the sale of my condo in the house to lower the mortgage payments. It went unsaid but Catharine and I both wondered how this was going to work out since we hadn‘t lived in the same house in 26 years. With some give and take and understanding Catharine and I got to know each other better than when we were kids. I continued with my studies and graduated with an Architectural Technology diploma in June, 2005. The program had taught me a lot of new things such as building construction techniques and codes. As it turned out I would never work as an Architectural Technologist because of another blow as a result of the radiation therapy I had as a child. Two weeks after I graduated from the Architectural Technology program and three weeks after getting back from setting the date for plastic surgery I suffered another big drop in my hearing. This time it was my left ear and again it was overnight. I woke up one morning in June, 2005, with profound deafness in both ears. I was left floundering. Suddenly the phone was virtually useless and face to face conversations were difficult at best. It was yet another frustration and I was exasperated. Here I was trying to make a life for myself, and had a sense of getting somewhere, only to be kicked back. Again I had to regroup. Now depression more than anxiety ruled my life. In hindsight this was a blessing in disguise. I was forced into making another life change that would be very positive for me. Any job that required me to answer the phone or talk to people was just about out of reach. I couldn’t call to inquire about a job. Even if I got a job interview I wouldn’t be able to get through it without frequently having to ask the interviewer to repeat him or herself. I went to see Patrick, my audiologist, who fitted me with hearing aids that made me fairly functional with face to face conversation and I could use the telephone with difficulty as long as it had a volume adjustment. For three years I used these hearing aids and I avoided using the telephone as much as possible. My confidence with the phone was completely shattered. My saving grace when I lost the hearing in my left ear was that I was living with Catharine and her kids. After a few disastrous attempts at trying to answer the phone Catharine said, “Brian, don’t answer the phone. If it’s for you we’ll tell you.” Catharine helped me with the important calls so that I could catch everything said. I was fortunate to have friends who were understanding and patient with my difficulty when they called. A month after my hearing loss I expressed my frustrations about my dilemma to Catharine. She suggested trying to do things online. I had thought of it but not seriously. My email account was all but dormant. I hadn’t surfed the net much for anything. Catharine’s suggestion made sense though. I started to look for things to do on the net. I hear email just fine. A whole new world of things to see and do opened up to me. Google and Wikipedia became routine for anything I wanted to look up or know about. There were websites to look at, newsletters I signed up for and I patted myself on the back the first time I watched a YouTube video. Now I don’t know how I managed without it. Of all the things I found on the net I was most intrigued by copywriting – the craft of writing ads, brochures, articles and, best of all, getting paid to do it. I decided to focus on what I considered to be my last remaining asset – writing. I was more comfortable writing than with anything else. It had always come easily to me. Once I decided on copywriting I read all the books and articles I could find. But reading about copywriting wasn’t enough. I needed a qualification. I found “The Institute for Copywriting” in England. This was my first online course. When all the assignments were completed The Institute mailed me my diploma. I had my diploma but I came up short of starting a career in copywriting. I was used to taking courses. When it came time to put into practice what I had learned I faltered. It was as if someone was reaching through me from behind, grabbing hold of my sternum and pulling me back. My nerves and self-doubt would take control of me. But the willingness inside urged me on. I continued to look into copywriting. I spoke with a copywriter from Utah who was very patient with my difficulty in using the telephone. He had learned copywriting through American Writers and Artists Inc. (AWAI). I decided to take that course. In November, 2008, I went to AWAI Bootcamp, a copywriting conference in Florida. The main reason I went to Bootcamp was to meet people working in my chosen profession. I attended some very insightful workshops and met 300 copywriters. Up until then I hadn’t met even one. I came back from Florida with my batteries charged but something held me back. The one drawback to copywriting, even though most of it is done online, was that I couldn’t avoid having to pick up the phone to call someone. I was frustrated but it wasn’t going to stop me. I went to the Canadian Hearing Society (CHS) in Thunder Bay where I hoped they could show me a way of handling phone calls. I was out of ideas. I met a counsellor there named Jeff. He showed me the various devices I could use that I tried with limited success. When I found Bluetooth hearing aids in their catalogue I knew right away that these were the answer. They worked like a wireless head set. By pairing a cell phone with Bluetooth hearing aids I heard the caller in my hearing aids just like a face to face conversation. I responded by speaking into the microphone in the remote hanging around my neck. They weren’t the perfect solution but they were light years ahead of anything else. With the Bluetooth hearing aids I regained my confidence in using the telephone. Jeff was hearing impaired and the first person I met who was more comfortable with American Sign Language (ASL) than with verbal speech. Our counselling sessions were staged with Jeff and me in a room at the CHS in Thunder Bay with Jeff on camera. Glenda, a hearing ASL interpreter, who was on camera in Guelph saw what Jeff signed and said it out loud so I could hear it through a speaker phone. Karen, a captionist in Toronto, heard what Glenda said and typed it out so it appeared on a laptop screen in front of me so I could read it. This worked well since I only caught half of Glenda’s words. Glenda listened to my response and signed it to Jeff. Jeff and I covered a lot of ground this way. I could talk to him easily about my frustrations with life and how I could best handle my deafness. Jeff taught me about the Deaf community and culture. I became involved with many of the CHS functions. I’m now on the Community Development Council for the CHS in Thunder Bay. The Canadian Hearing Society has been a very positive experience for me. This entry was posted in Memoir and tagged 2008, architectural technology, ASL, AWAI, Bluetooth, bootcamp, Canadian Hearing Society, captionist, CHS, Community Development Council, copywriting, deaf community, deafness, drawback, England, experience, Florida, frustration, Guelph, interpreter, memoir, November, Paxil, plastic surgery, positive, profession, regroup, signed, Thunder Bay, Toronto. After many failed interviews I found work for a short time in a geochemical lab. Then I applied to work in a medical lab only to be told that I would have to re-train since I had been out of the field too long. This rejection was my motivation to try new things. I had a decision to make. Do I spend three years of full time school retraining to get my old medical lab job back or do I try my hand at something new – something of my choosing? I opted for the new. The time for change had come. I would close the door on the scientific world and open another to take my life in a different direction. When I came to this decision I was filled with a sense of freedom. I felt some guilt too since I was departing from the life my parents had worked so hard to forge for me. Even though I was more or less forced into it all the feelings I had about this change were very positive. I knew intuitively that making my way through life on my terms was what I had to do. I went to St. Andrew’s cemetery and told Mom and Dad my plan as I stood in front of their headstone. What I got for a reply was a resounding silence. It was a shock but what was I expecting? I realized then that this grave was only a marker of my past life and not an anchor to it. Until that moment I couldn’t fully separate my parents from my new life. I had decided that since my parents were buried in Thunder Bay here is where I must stay. But the silence of their grave shouted back at me to make that final separation. Never again would I consider what my parents might have wanted. If ever I needed to leave Thunder Bay I would. The question now was – what should I do? Drawing and designing were things I had always loved to do. So in September of 2002 I enrolled in the three year Architectural Technology program at Confederation College in Thunder Bay. When I started the program I weighed 186 lbs. With the stress of full time study adding to my bad nerves I resorted to comfort foods. At the end of my second year in the Architectural Technology program in April of 2004 I was 207 lbs. That July my doctor discovered I had high blood pressure. I was shocked. My blood pressure had always been normal. I sat for hours in front of a computer at the college, drove home to sit in front of the TV and I was very overweight. There was no denying it. I was fat. The year before I started college I told Catharine about my frustrations in my inability to find work. “Thin people are taken more seriously than fat people,” I said, “I can’t do anything about my facial paralysis or my balance but I can thin myself out.” Even then I wasn’t seriously trying to lose weight. I sought to solve my weight problem with plastic surgery. I’d simply have the fat removed – a quick fix – and I started to look for a plastic surgeon. After I was told that I had high blood pressure something clicked inside me. I became so frustrated with myself in knowing that I was the author of this. I had let myself get to this point. For years I said I should lose weight. I went on a diet and dropped a few pounds only to put them back on plus a few more. When I spoke to the plastic surgeon at St. Michael’s Hospital in Toronto who eventually operated on me, she said she could do the surgery but first I had to lose 50 lbs. There was no easy way out and that’s what I needed to hear. Now I was adamant. “I will lose weight,” I said and I set out a plan to do it. I made an oath with myself. “I’ll be 180 lbs by Christmas and after that I’m losing five pounds a month.” It was a challenging but realistic goal – a goal where I had to change my diet and lifestyle enough so the weight would stay off. From then on I watched every calorie and reduced the amount I ate to the point of feeling a bit hungry most of the time. I needed to get my stomach to want less food. Comfort foods were out and fruits and veggies were in. The only exercise I could do with any proficiency was walking. So everywhere I went involved going for a walk. I went for a long brisk walk (and sometimes two) every day. By New Year’s, 2005, I was 180 lbs (close enough? ), 175 by the end of January, 170 by February 28th, and by April’s end I had lost 50 lbs. I saw the surgeon in June of 2005 and we scheduled my surgery for October 30th. A pang of emotion swept over me as we set the date. “It’s really going to happen,” I said to her. The goal I diligently worked so hard at for over a year was going to become reality. “Yes it really is,” she said. I chose this surgeon because I sensed she understood why I was doing this. She saw it was part of what had become a personal mission to better myself and to get ahead in life. For the months up until surgery I stayed on my weight loss regimen. As I got down to 160 lbs I asked myself, “How much weight is enough to lose?” My body told me. When I reached 140 lbs I started to feel thin. I knew I was close to the weight I should be. By the time I had surgery I was 131 lbs. I lost 76 lbs. This surgery was the first of two. It was a tummy tuck and buttock lift to remove the excess skin left over from losing weight and the skin folds I’d had for years from being on decadron. When I woke up I had a gruesome-looking surgical wound that went right round my middle just above my hips. I looked as if I’d been chopped in half and sewn back together. Fortunately it didn’t hurt that much. I dropped ten pant sizes from 40 to 30 and medium sized shirts to small. Best of all my blood pressure returned to normal. The second part would be done the following October to remove the redundant skin folds on the insides of my upper arms and inner thighs. The night before I went into St. Michael’s for my second plastic surgery I sat in a chair of my hotel room and thought. “How many surgeries have I had by now?” Counting them up I’d had 20. Tomorrow’s surgery would be number 21. Four years passed from when I started looking for a plastic surgeon to my second surgery. But it wasn’t enough to find a surgeon. I had to pay for the plastic surgery. I used most of my savings to do this. It was money well spent. I have no second thoughts about that. My body is no longer the source of embarrassment that it had become for years. I have more energy and people take me more seriously. I’m proud of my achievement. All the positive feedback from people was terrific. It’s great to hear and it boosted my sense of accomplishment tremendously. I got comments like this for over a year. 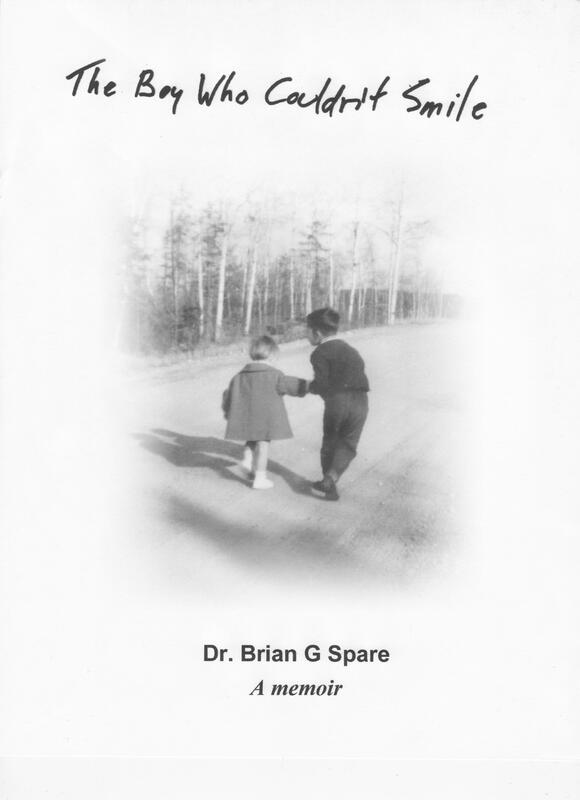 This entry was posted in Memoir and tagged achievement, Brian, comfort food, Dad, door, embarrasment, estate, geochemical, grave, lab, lose weight, memoir, Mom, parents, scientific, silence, spare, St. Andrew, St. Michael, Thunder Bay, Toronto, weight.